We offer a flexible client driven range of services that endeavour to fit in with both the short and long term recruitment needs of each customer. Our in-house consultants offer over 40 years combined experience in the industrial sector, which means that each client can trust the consultants at Olympic Staff to deliver consistent long term levels of service. By utilising this depth of experience we are able to offer service delivery of the highest standards and are confident that this consistent level of service matched with our competitive price structures sets us apart from our competitors in the recruitment sector. Established in 1982 and independently owned, the Olympic Staff agency remains a key supplier of temporary and permanent staffing solutions in the following sectors, Hospitality and Catering, Nursery Personnel, Accountancy and Finance, Administration and Office staff as well as Warehousing and Industrial Staff. We are corporate members of the REC, and hold a current valid GLA gangmaster licence. In addition we maintain our ISO 9001;2000 accreditation first awarded in 1992. Hospitality & Catering : The following levels of staff are provided by Olympic Staff, Sous Chef, Head Chef, Chef de Partie, Demi Chef, Chef de Rang, Wine Waiter/ess, Bar Staff, Cocktail Waiter/ess, Silver Service and Plate Waiter/ess and Kitchen Porters. 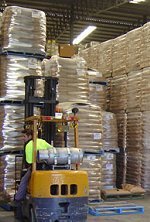 Warehousing and Industrial Services-: We currently supply a wide range of temporary industrial staff spread over both day and night shift patterns including; order pickers/packers, food production staff, print production staff, machine operators, fulfilment staff, Fork Lift Truck Drivers, Goods-in and despatch staff, mailroom operatives, furniture porters and loaders. Nursery Personnel : Enhanced CRB checked Cache level 2, NVQ levels 2 and 3 Nursery Nurses, Room Supervisors, Assistant Room Supervisors, Nursey Assistants and Domestic Staff. We offer a flexible competitive fee structure for all permanent placements and are confident that with in-house access to a wide range of CV databases our interview to placement ratios are amongst the highest levels in the recruitment sector. If you wish to source staff not listed above please call our office to discuss your requirements.